Let’s follow the path of a typical consumer. You see an ad for a product on Facebook. It catches your interest, so you click. The transition is pretty smooth and now you see a landing page design that gradually gives you more and more information about the benefits of this product. Within sixty seconds of hitting that page, you should have access to and be able to consume all the information you need to make a decision. The focus on the benefits—in the headline, the sub-headlines, and the bullet points—allows you to decide whether or not to take action. This page that leads you to one clear choice is called a landing page. But What Exactly is a Landing Page? There are two main types of landing pages: click through landing pages and lead generation landing pages. Each is a single website page with the purpose of driving each visitor to take a specific action. If the visitor takes the action, that transaction becomes a conversion. That’s your end goal. A click through landing page is a quick, informative stop on the way to a shopping cart to purchase one of your products, a registration page to sign up for an event/webinar, or a booking calendar to reserve your time as a speaker/consultant. A lead generation landing page is used to capture a visitor’s data, such as their name and email address, so that you can connect with the prospect at a later time through a newsletter, for example. What’s the Advantage of Having a Quality Landing Page Design? Since a landing page has one simple message to convey, its entire purpose is to explain the benefits of performing a single, desired action. Because it’s only one page, with a clear call to action, a landing page design has a higher conversion rate than a traditional, multi-page website. Just look at the data backing up how important it is to focus on a single offer on a single page. Landing pages promoting a single offer get 266% more leads than those with multiple offers. Companies with 30 or more landing page designs generate 7 times more leads than those with fewer than 10 landing page designs. So the evidence shows that if you have multiple offers, don’t put them on the same landing page. Instead, create a new, unique landing page for each marketing campaign and you are more likely to see a higher conversion rate. How About the Conversion Rate on my Landing Page? The average conversion rate for a website is 2.35%, with the top 25% of websites converting at 5.31%. You want to be in the top 10% of websites, so shoot for a conversion rate of 10-20%. 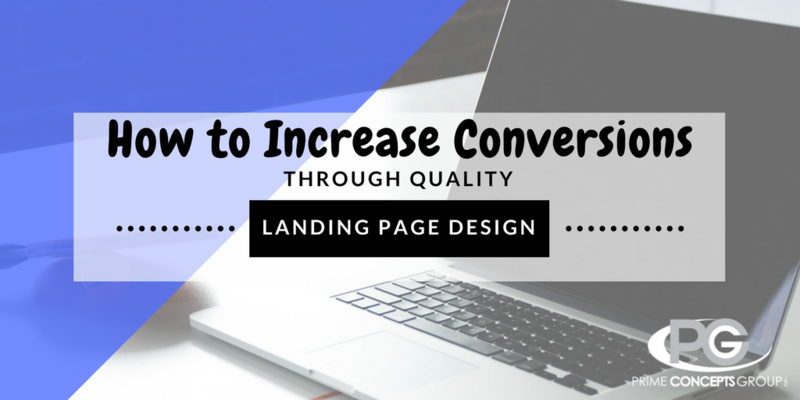 Here are a few ways you can increase your conversion rate on your landing page. A/B test your CTA. A big factor in increasing your conversion rate is split testing your call to action text and button. Generally try to stick to text and button colors that contrast with the rest of your page. Buttons should have rounded corners to draw the visitor’s attention inward, and bigger is usually better. Attach a lead magnet to your CTA. This encourages visitors to click and convert. Options to offer for free in exchange for a visitor’s contact information are an eBook, webinar registration, discount coupon/voucher, contest entry, 30-day free trial, or physical gift by direct mail. Make Your Images Clickable. If a visitor clicks on one of your photos, you want it to lead to your end goal, whether that is the shopping cart or your lead-capture form. Optimize your lead capture form. The less information you ask for, the higher your conversion rate will be, so limit the amount of blanks you require users to fill in. Ex. Do you really need to know their city, state, AND zip code? Don’t distract your visitor. Isolate your landing page so there are no header links or anything else to click on that could send a visitor away from your desired CTA. Include trust badges, social proof, and a guarantee. If you’re accredited with the the BBB, verified on Amazon, certified as an industry expert, or offer secure transactions, now is the time to share that information. This increases your credibility with the visitor. This is also a good time to share testimonials and social media proof. Also make sure to put any guarantees close to the CTA button so that visitors are ready to click once they’re convinced that you’re trustworthy. Focus on the benefit and relevance over the features. Sure, it’s helpful to know all of the details on a product, but that’s not the purpose of your landing page. Your landing page isn’t designed to answer all of a visitor’s questions. It’s meant to show the benefit and relevance of your product/service to them. It’s meant to enhance their motivation for clicking on the CTA button. You need to clarify what they’ll get once they click on the button. So How do I Create a Quality Landing Page Design? 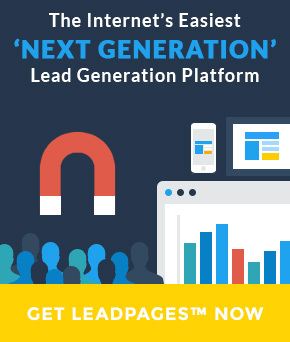 One of our favorite resources here at Prime Concepts Group is LeadPages. We regularly use it to create landing pages for clients to supplement the websites we custom design and develop for them. In fact, it’s the #1 Landing Page Builder. Regardless of your industry, you can choose from hundreds of mobile-responsive landing page templates. Each template is geared toward getting more customers to join your email list, sign up for your event, or buy your products. First, share this article with your marketing team and your social media followers. Then, print it out and use it as a guide when creating great landing pages designs and get started! Have additional insights or questions? Let me know me in the comments below. I’d love to hear what you think. We'd love to hear your thoughts on this post! What 'cha got?